OLYMPIA — Projected poor returns of several salmon stocks are expected to limit fishing opportunities in Washington’s waters this year, state salmon managers announced Wednesday. 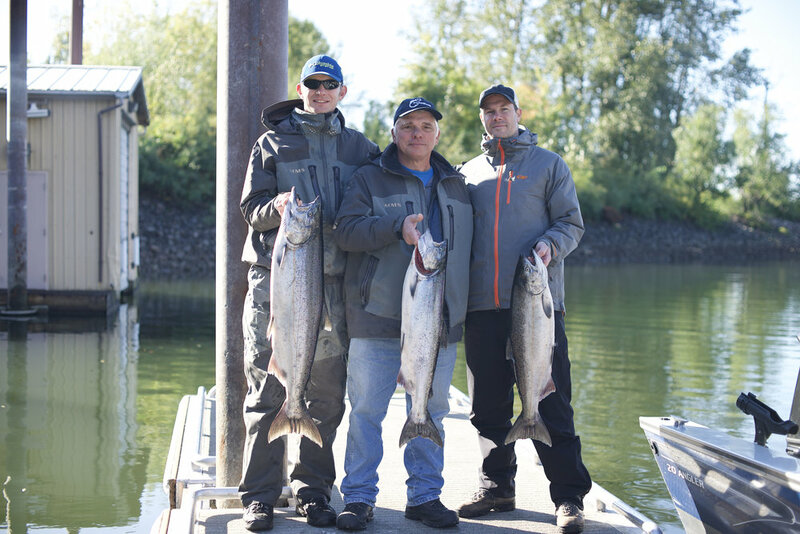 Forecasts for chinook, coho, sockeye, and chum salmon — developed by the Washington Department of Fish and Wildlife (WDFW) and treaty Indian tribes –were released during a public meeting in Olympia. Fishery managers have scheduled a series of public meetings through early April before finalizing seasons later that month. Kyle Adicks, salmon policy lead for WDFW, said numerous salmon runs are expected to be lower this year compared to last season, including several key chinook and coho stocks. As a result, a number of fishing opportunities from Puget Sound south to the Columbia River will likely be restricted. Adicks said the low salmon returns are the result of a variety of factors, including another year of poor ocean conditions. COLUMBIA RIVER — Roughly 236,500 “upriver brights” are expected to return to areas of the Columbia River above Bonneville Dam. That is down more than 50 percent from the most recent 10-year average. An estimated 286,200 coho are projected to return to the Columbia River this year, down nearly 100,000 fish from the 2017 forecast. About 279,300 actually returned last year to the river, where some coho stocks are listed for protection under the federal Endangered Species Act (ESA). Some salmon fisheries in the Columbia River will likely be more restrictive than last year, Adicks said. WASHINGTON’S OCEAN WATERS — A lower return of coho and chinook to the Columbia River, combined with a poor forecast of coho returning to the Queets River, will likely mean further restrictions to Washington’s ocean salmon fishery as compared to last year, Adicks said. This year’s forecast of about 112,500 hatchery chinook expected to return to the Columbia River is down more than 50 percent from last year’s forecast. 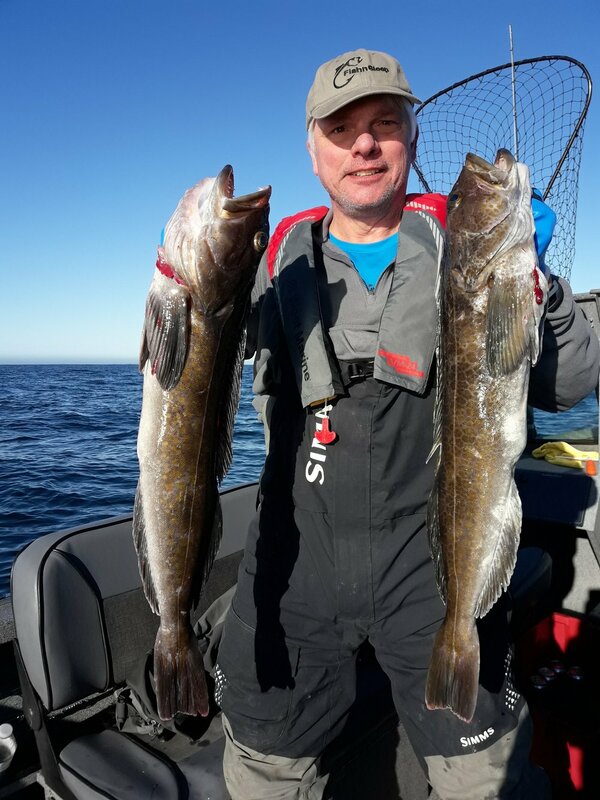 Those hatchery chinook, known as “tules” are the backbone of the recreational ocean fishery. A meeting schedule, salmon forecasts, and information about the salmon season-setting process are available on WDFW’s website at https://wdfw.wa.gov/fishing/northfalcon/. An online commenting tool will be available on the website later this week. • Effective Thursday March 1, spring Chinook angling is open to both boat and bank anglers from Buoy 10 upstream to Beacon Rock. Beacon Rock to Bonneville Dam is open to bank angling only. • Effective March 16, spring Chinook angling will be open from Tower Island powerlines upstream to the Oregon/Washington border above McNary Dam, plus the banks between Bonneville Dam and Tower Island powerlines. • White sturgeon retention is closed from Buoy 10 upstream to McNary Dam but remains an option for catch and released fishing. • The McNary Pool is open to the retention of legal white sturgeon through July 31. REGION 5 REPORT — Trout fishing remains strong in Southwest Washington. Klineline Pond and Battleground Lake each received fresh plants of rainbow trout this week. Both lakes were stocked with 1,500 trout at two per pound. Kress Lake steelhead angling is still going strong. Walleye fishing continues to be red hot, in spite of the colder temps over the last two weeks. Catfish have started to bite well in Vancouver Lake. Salmon/Steelhead — Salmonid angling is slow in the lower Columbia River but should begin to pick up in the coming weeks. Gorge Bank — No report. Gorge Boats (below Beacon Rock) — No report. Troutdale Boats — No report. Portland to Westport Bank — Weekly checking showed no catch for 55 bank anglers. Portland to Westport Boats — Weekend checking showed no catch for 23 boats (46 anglers).